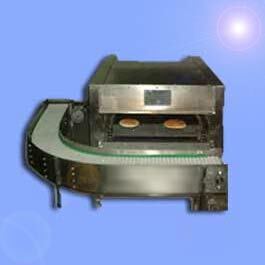 The oven made from stainless steel and include inlet Machine. The oven is driving by ½ H.P. Motor and requires 16 KWA. The oven is insulation, the surroundings is low so it’s fit to restaurant And supermarket. The oven produces about 600 for hour, and he also good for pizza and all Pitta’s production. If you want to achieve optimum results, you have to be better from the very onset, because it is almost impossible to remedy mistakes made in the dough preparation. The universally usable spiral mixer by Koenig ensures top product quality right from the onset. Be it wheat doughs, wheat and rye doughs, rye doughs or whole wheat doughs – the spiral mixers by Koenig mix rapidly while hardly warming the dough. Like all Koenig mixing machines, the spiral mixer is equipped as standard with a removable dough bowl, thus ensuring an efficient work flow with easy handling. Because the functional interaction of the mixing speed, on the one hand, and the rotation speed and direction of rotation of the mixing bowl, on the other, is set exactly and stored in the program of the control system by the operator, the models of the SP series are universally usable and can be adapted to virtually every recipe.